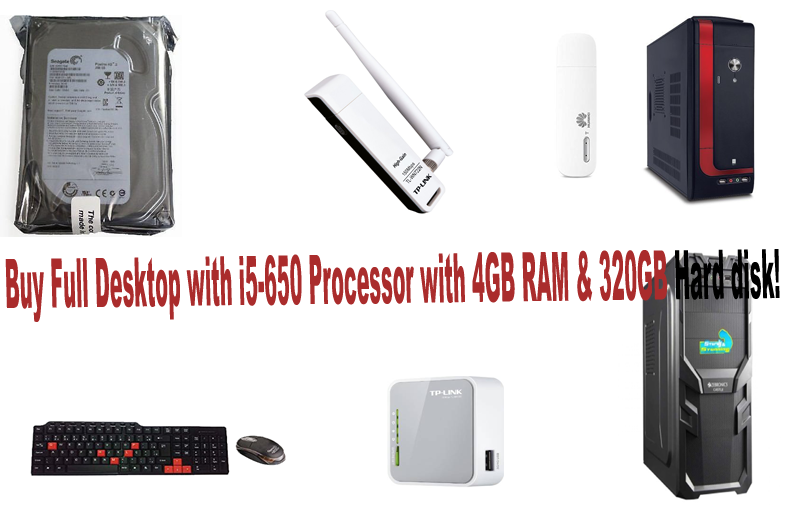 Buy Full Desktop with i5-650 Processor with 4GB RAM & 320GB Hard disk! Price: Rs 14,480 click here to buy! 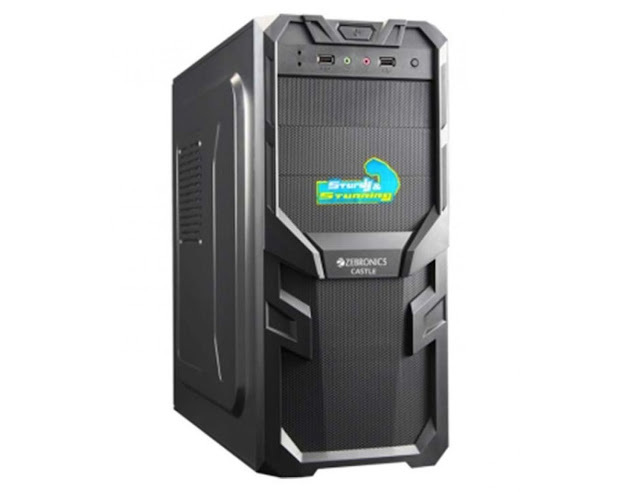 Intel Core i5-650 Processor 3.20 GHz 4 MB Cache & above MAXSONIC/WINSONIC/GSONIC MOTHERBOARD 4GB Kingston/hynix RAM 320GB Hard Disk seagate WiFi adapter ,Cabinate availability and color depends on stock. 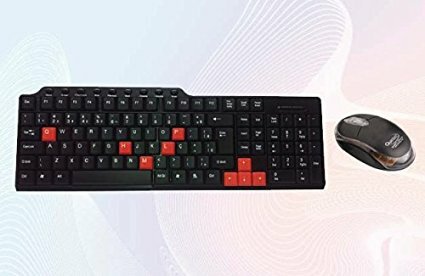 Price:Rs 4,299 Click here to Buy Now! Lappymaster Monitor It has a glossy finish that is in tandem with the functionality of this screen. 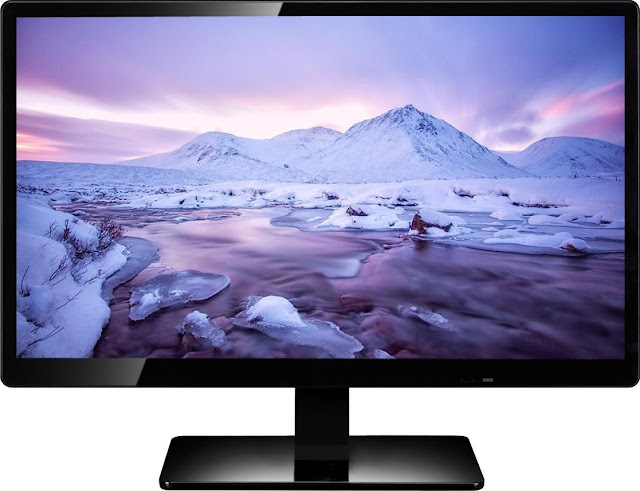 This screen gets the picture just right, without stretching or shrinking it Get Sharper Image Quality and Better Detail with the Clear Picture Resolution The Slim and lightweight Monitor can be mounted on the wall or fixed on the stand totally depending on your viewing comfort. VGA port also available and the product can be additionally used as Computer Monitor . Price: Rs 377 click here to Buy! Keyboard : Ultra slim and long life due to scissor-key structure Compact Size for space saving Key Pressure:55g,comfortable feeling Effectively reducing typing stress,release the arm muscle Strain Noiseless design achiever undisturbed working environment Dimension: 462*180*20mm Life-span of Operation: 10,000,000times Compatible with Windows 98/2000/ME/NT/XP/Vista/WIN7 Mouse : Application: Desktop/Notebook Lights: Optional Resolution: 400/800/1000 DPI Interface USB. If any question about this post feel free to comment.